Creating a new product and starting a new brand can be very complicated, and the costs that you might incur can be difficult to anticipate in advance. Getting the product designed and made might seem to be the main costs – but in fact there are many other costs you will incur in setting up your brand. Working out what all these Costs will be is just one thing – but also planning all the Tasks you need to undertake can be daunting. So we have created a textile industry specific document that is totally customisable to help you do your planning. 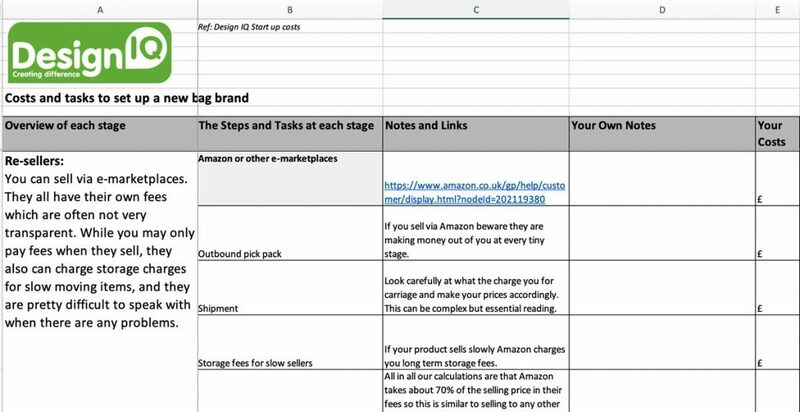 This document does not include specific costs as your’s will be different from other business’s – but will help you with the rational planning of Tasks from the concept and marketing stages to design, prototyping, manufacturing, marketing, sales and distribution. 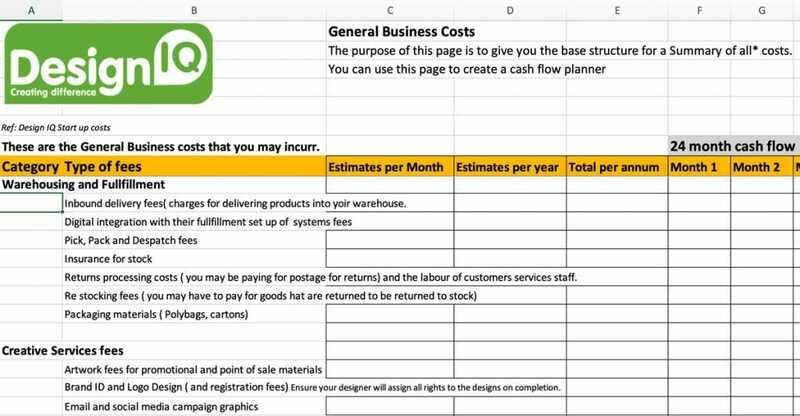 With this Microsoft Excel document you can build the basis structure of the Costs and Tasks to create your Business Plan, and can help you prepare you to get investment. You can purchase by card and we will send you an email with a link to download it. 15 min Free of Charge support: Purchasing this document includes a free of charge 15 minute telephone conversation with Design IQ to discuss any questions about your business planning and how to use the document most effectively. If you subsequently purchase over £2000 worth of our services We will refund 50% of the cost of this document. When you purchase this document you will be buying a licence to use this for your own business, and it should only be shared with people within your business and your advisors. A basic competency with Microsoft excel is necessary to customise the document.